Since his debut as a solo artist way back in 1970, Sir Elton John has proven to be one of the most prolific musicians of our time. The impact of his tender ballads and power-driven anthems has led the British pop icon to sell over 250 million records worldwide, play over 3,500 shows in over 80 countries, and hold the record for best-selling single of all time with his beloved hit “Candle in the Wind.” It’s no wonder that his illustrious career and selfless work as a humanitarian culminated with a knighthood from Her Majesty herself. If all of that doesn’t speak enough to the merit of his enduring influence as a music legend, Sir Elton is back on the road in the US this year to remind all of us of his genius. 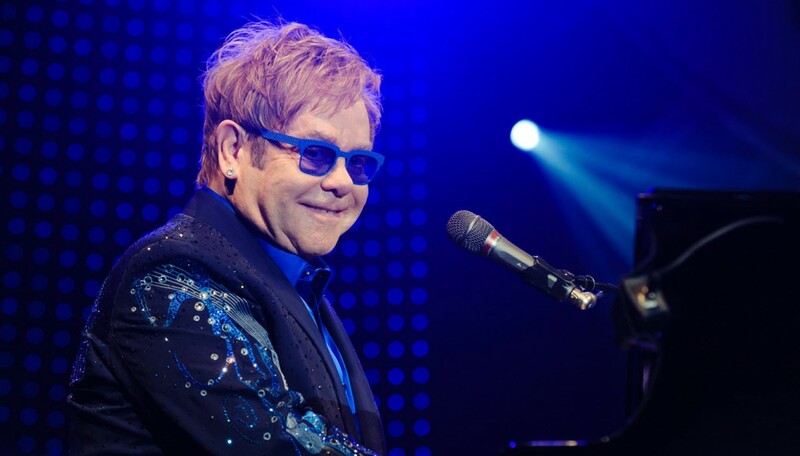 So, sit back and feast your eyes and ears on these classic Elton John music videos, and make sure to catch him at one of his renowned live shows, which include a headlining performing at the New Orleans Jazz & Heritage Festival this spring. As the most popular track off of his best-selling studio album Goodbye Yellow Brick Road (1973), it’s no surprise “Candle in the Wind” riles up the fans a bit. So, prepare to be swept away in the biggest sing-a-long of your life when that piano cues up. Also, it’s hard not to get excited about what spiffy outfit Sir Elton will wear this time. From his most recent studio album The Diving Board (2013), this video shows the more melancholic side of Elton John’s late work, likely reflecting on the passing of time and yearning for the good ole days. It also marks a more polished, narrative look in terms of his music videos, which have tended to be more performance-based and quirky in the past. This amazing video, which surprisingly did not come from Saturday Night Live, features a remarkably passable Justin Timberlake as Elton John, as well as a cameo from Paul Reubens, aka Pee Wee Herman. While it showcases the absurdity of celebrity it also reveals John’s warm willingness to poke fun at himself. The debut single from his 1970 US debut album — and arguably his most cherished love song — “Your Song” always brings a quiet calm over the audience as the warm melody and tender climax fill concertgoers with emotion. With its industrial black and white imagery, the video for “Believe” embodies the slightly more angsty yet power-driven musicality of John’s work mid-’90s work. From his 1995 album Made in England, this song is perfect for fans looking to get out of their seats and belt out the chorus with fists held high. It’s almost impossible to think of Elton John sitting anywhere other than in front of a grand piano crooning his sweet love songs, so this video is a simple, perfect encapsulation of his spirit as a pop icon. “I Guess That’s Why They Call It The Blues” is yet another example of Elton John’s knack for commanding anthems that strike at the gooey, sentimental core within. The appropriately nostalgic video recalls the sweet melancholy of first loves — with proper Elton John flare, of course. After conquering rehab in 2000, Robert Downey Jr. was ready to hit the world of entertainment with vigor and good spirit. What better way than the ballad “I Want Love”, a collaboration that combined Elton John’s yearning lyrics with Downey Jr.’s emotional delivery. Contrasting with a vast catalog of songs about desire, heartbreak, and deeply felt love, “I’m Still Standing” and its quirky video remind us of Elton John’s playful side. It’s hard to not feel a little giddy about Elton John romping around France with a bunch of jazzercising models, mimes, and body builders. If there’s one Elton John song (or any song for that matter) that simply can’t be ignored at karaoke, it’s “Bennie and The Jets.” Strap yourselves in, because this one is going to get raucous if the crowd has anything to do with it. There are so many more classic Elton John songs and videos, but nothing beats seeing him live.